Editors note: Train 180 popped up on our radar recently, and we sent a couple of people along to check them out. 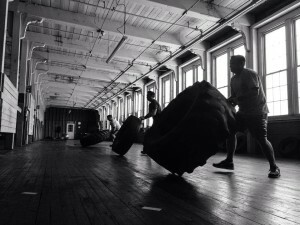 They’re the real deal, and provide a great OCR facility for Nashua, NH region residents. Even better, the owner, David Hooper is a New England Spahten himself, and is offering a drop in price for the community of $12. I first heard about Train180 from a fellow NES FB post stating he had just figured out how to climb the rope. 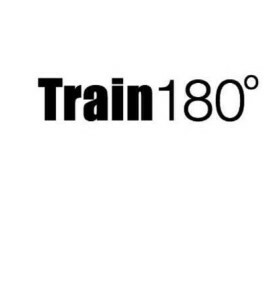 After a series of emails and phone calls I scheduled a personal training session at Train180 meeting with the owner, Dave Hooper. Dave has been a personal trainer for several years now with an extensive knowledge of the OCR world. The location is perfect; the training area is in the old mill buildings with Mine Falls Park in back which provides for endless opportunities for trail running. The gym has nice high ceilings to hang those ropes from and has a large open feel to it. Dave runs OCR small group workouts (usually 1-4 people) on Tuesday evenings and Saturday morning with a full 5K obstacle style training are at the end of the month. He also does personal 1:1 training and small groups for TRX, tabata, and total body. My focus was on the OCR training for my time there. Dave was great with his expertise thrown in with an easy going demeanor. He was able to tailor the workout session individually for each group member while keeping our motivation up for the whole session. His partner in crime Bobby Bonia puts quite a bit of effort into the mock races. 15 muscle ups using the extended wood plank on his 6ish foot wall. Hobie Hops up 2 split flights of stairs. Spear throw time! We got 2 practice throws and 2 real throws. Penalties varied between 5-15 burps each depending on your fitness level. Burlap bag filled with pebbles going up these stairs again. Oh, did I mention the bag had to be overhead with arms extended? Climb the rope and ring the bell. He has both a knotted and regular rope. and he’s hoping to add more as time goes on. This coming Saturday 7/26/14 he is even specializing in spear throwing to help save us 30 burpees in Amesbury. Located practically in my backyard. Price-plus he says he will give a NES discount. Dave is very flexible, nice guy who loves the OCR world. No air conditioning; just a fan. But thankfully the high ceilings helped out with that and he makes sure you drink enough water. In all, a great local training gym for Northern Mass/Southern NH. After months of trying, I finally managed to make it to Train 180 back in November for a Spahtens workout. I'm hooked! 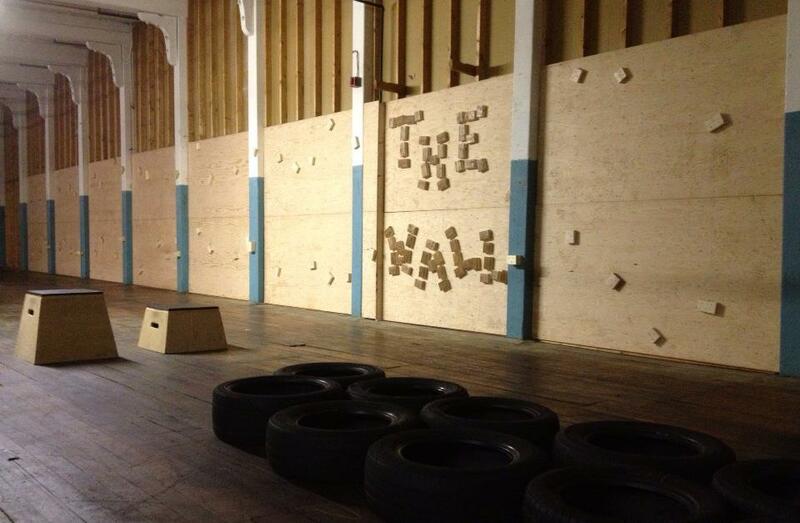 This is exactly what I was looking for in an OCR gym. They have numerous tools available for OCR practice: climbing ropes, traverse wall, tires for dragging/pulling, Berlin walls, and more. Plus, I live in Nashua, so it's easy for me to get to. My wife got us both 12 personal training sessions for Christmas. Dave and Bob know how to dish out the punishment. I can't wait to go back! Dave Hooper is the reason why I am able to have run a marathon and completed multiple OCRs. I owe it all to him. I've been there for Spartan Race training with Dave and Bobby Bonia, and I agree with Sandy and Maureen on all counts. We needed a top notch facility in our area that was also OCR oriented and now we have one! I stopped in to have a look too. Everything Maureen has said is spot on. The facility has quite a bit of room and a broad range of things to practice on/with. He has walls to climb, monkey bars, ropes to climb, tires to flip and drag, etc. He seems very knowledgeable about both physical training and the OCR world specifically. He'll be doing the Ultra Beast this year at Killington to give you an idea of his abilities! I recommend his place to all who are in the Nashua area.